From left to right: Marissa Coleman, Monique Currie and Rebekkah Brunson are making money moves in the 2018 WNBA offseason. For WNBA players, grinding year-round is a collective trope. And since the season has ended, many of the athletes are already making moves off court. While it’s a widely known tradition for players to earn money overseas, others are pursuing business ventures that will propel them forward financially after their playing days are over. Minnesota Lynx forward Rebekkah Brunson is expecting her first child while launching a food truck business. Washington Mystics forward Monique Currie is a real estate investor. And New York Liberty forward Marissa Coleman is running her restaurant Mellow Mushroom with former teammate and longtime friend Alana Beard. WNBA players tend to work twice as hard because WNBA salaries aren’t grand. During the 2018 WNBA season, rookies earned between $40,000 and $50,000 while the maximum veteran salary was $115,500. The league minimum for players with three or more years of service was $56,000; two years or fewer was $41,202. Brunson, Currie and Coleman describe their business and explain their goals and their motives behind their paths to The Undefeated. 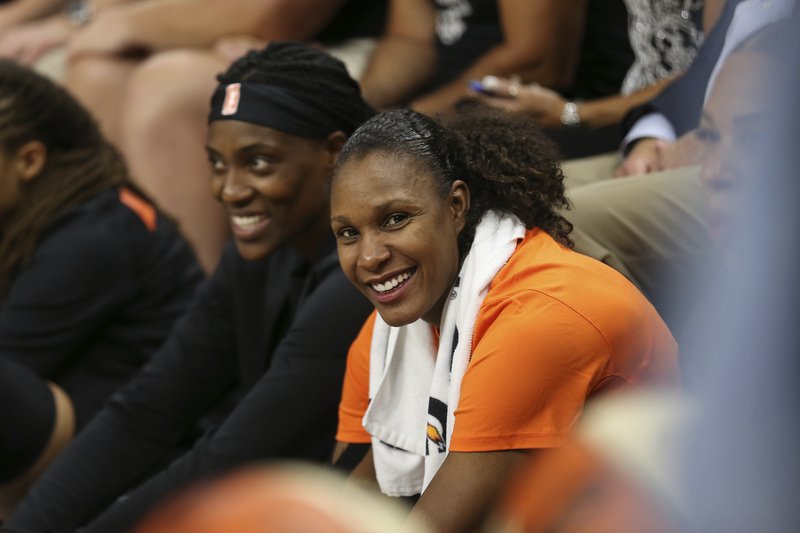 Rebekkah Brunson (center) smiles during the 3-Point Contest at the WNBA All-Star festivities July 28 in Minneapolis. Brunson, the only player with five WNBA championship rings, has her hands full this offseason between the launch of her Twin Cities food truck business, Sweet Gypsy Waffle, and the arrival of her and wife Bobbi Jo’s first child, Graham Matteo Lamar Brunson. Their baby boy is due on Oct. 13, and the couple is relieved the date doesn’t fall on a Friday. 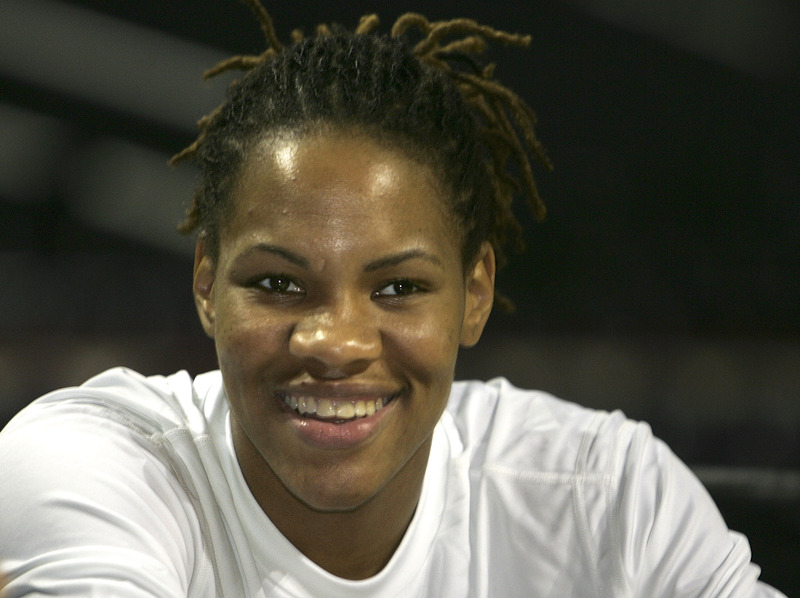 The WNBA All-Star and rebounding-record holder first fell in love with Liege waffles while playing for Dexia Namur in Belgium from 2004-06. Brunson knew she had to find a way to bring them back home. It’s been one year since Brunson and Bobbi Jo found the truck that would become the center of their business. They picked out a 1950s bread van, raised its roof and rebuilt it. The now bright blue truck will make its way around Minneapolis and St. Paul serving up fresh Liege waffles with sweet and savory toppings. “We want to key in on catering and corporate events,” said Brunson. “In the summertime, Minnesotans tend to really be outside, so we want to take advantage of that. The trying thing about it is that we’re in Minnesota and it gets cold,” she said, laughing. Brunson has a bigger vision, and it’s one that is weatherproof: a cafe. “I think waffles are a perfect game food, so we would like to get into arenas,” she said. Brunson and her wife will pick local charities to receive a portion of their proceeds monthly. Washington Mystics forward Monique Currie meets with the media. This offseason is Currie’s first year not going overseas. She spent the past five offseasons playing in South Korea and the years before that in Turkey, Romania and Spain. She will use this time to fully dive right into her interests: real estate, refereeing and journalism. The Washington, D.C., native and resident owns a real estate investing company, Currie Collective LLC. Currie, 35, has purchased and flipped four houses in Maryland and owns several rental properties that she manages. She believes her interest in real estate stems from her mom only watching HGTV when she was growing up. Besides growing her real estate investing business, the 12-year veteran wants to someday become a WNBA or NBA referee. Currie knows that she has to put in the work first. “I’ve wanted to be a basketball referee for the longest time,” said Currie. “The usual transition for players is to go into coaching, and not many former professional players go into refereeing. That is in part due to help from Shelley Russi, former head of referees for the WNBA. Although she’s not overseas this year, Currie has teammates and friends who are. Two years ago, Currie launched a site, womensbasketball247.com, to provide updates on overseas basketball. 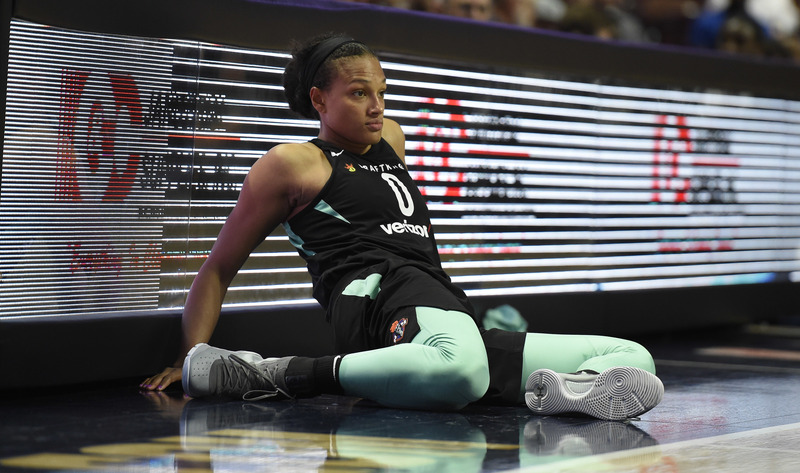 New York Liberty’s Marissa Coleman stretches during a preseason WNBA basketball game May 8 in Uncasville, Connecticut.